(Tucson AZ, Feb 2012) Rocking J Offroad’s John Brock has participated in motorsport for over 30 years, competing in dirt track, stock cars, drag racing, and tractor pulling. After getting involved with extreme rock crawling in his native state of Arizona John started racing his trail buggy in Lucas Oil Short Course races and WERock Dirt Riot events. 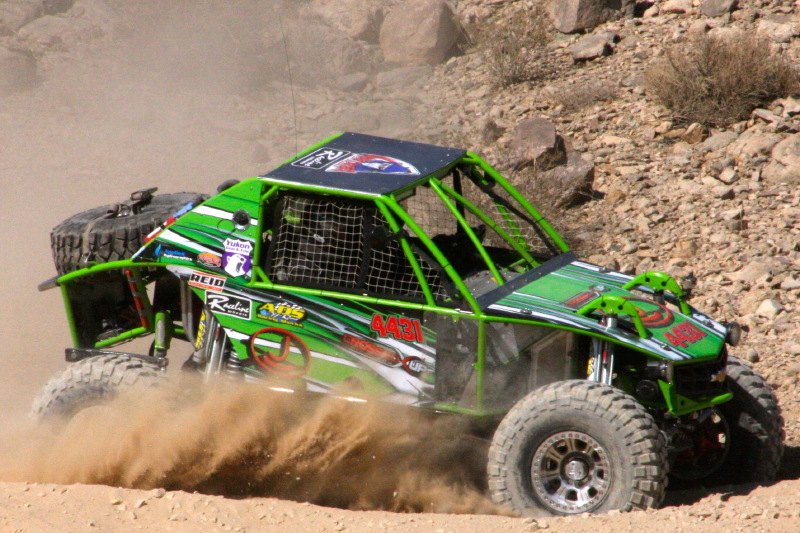 As the racing bug took hold again, it became evident that the trail rig was just not set up for speed, so in the summer of 2012 a phone call was made to fellow Tucson resident Mike Klensin of Crossed-Up Customs and one of their ‘Ultra SS’ buggy chassis’ was ordered. 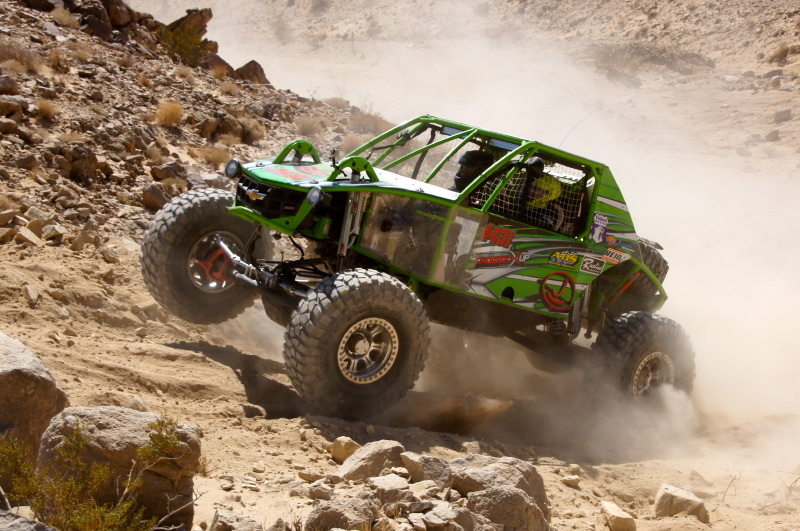 Once the chassis was in John’s hands the build-up of a full-blown Ultra4 car began, with sights initially set on racing the 2013 Ultra4 King of the Hammers. Although the build took longer than expected, the car was being built with only the best and strongest components, including a full shock package from ADS Shocks and prototype ‘Sixty9’ third members from JRat Offroad. As John was building the car, Mike Klensin who was pre-qualified for KOH, was in the process of selling his personal buggy leaving him with no vehicle. John and Mike came to an agreement and decided to share driving duties at KOH. February came around quick, and after some late nights the bright green buggy was on the lakebed in Johnson Valley. After a shock tuning session with ADS Shocks and some prerunning a strategy was formed for the main race on Friday, with Mike driving the first and third loop and John taking the wheel for the middle stint. The team would like to thank the following companies and organizations for their support: ADS Shocks, JRat Offroad, Crossed-Up Customs, Ruffstuff Specialties, BFGoodrich Tires, Raceline Wheels, Reid Racing, Yukon Gear & Axle, Rugged Radios, Applied Hydrographics, LetzRoll Offroad, Arizona Undertakers 4×4 Club, Bower Motorsports Media and Slapstick Media.